Income and social status have an increasing effect on life expectancy in Germany. On average, men with very low retirement pay die five years earlier than those who are much better off. Poverty shortens life. 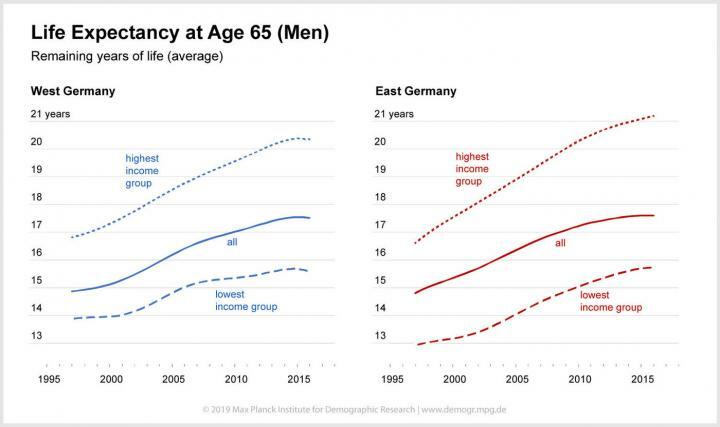 According to a study by researchers at the Max Planck Institute for Demographic Research, this correlation is also very clear for Germany. Their analysis shows that the gap between rich and poor in life expectancy has grown significantly over the past 20 years. And there are still differences between East and West.